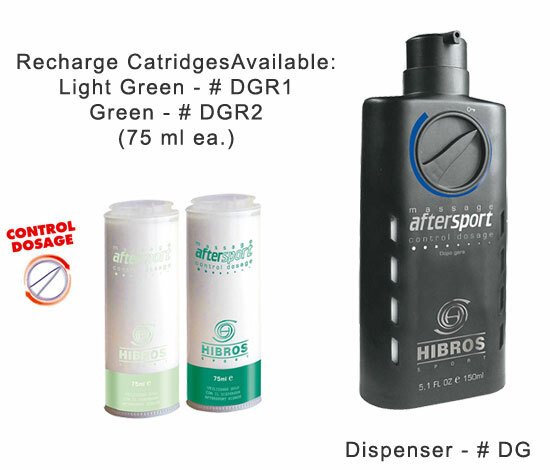 Hibros AfterSport cream features two cartridges that work together to provide the ideal mixture of cooldown cream. You determine the intensity of the cooling action based on your body’s requirements. Through the simple spin of the regulating dial, you have a choice of 14 different settings of intensity.